United Nations nuclear inspectors from the International Atomic Energy Agency would not be given access to Tehran’s sensitive military nuclear sites. A video of Mr. Velayati remarks, with translations by the Middle East Media Research Institute (MEMRI), is available here. Since I have been unable to find it on You Tube I have no way to embed it. Unfortunately, Mr. Velayati is essentially correct. The November 2013 Joint Plan of Action focused almost exclusively on Uranium enrichment, to the exclusion of the “possible military dimensions” of Iran’s military nuclear activities including missile research, development and testing. Najafi’s statement could mean (a) that no details about inspection methodology will be disclosed, (b) that no details about inspection results will be disclosed or (c) both. If inspection methodologies — who did the inspections as well as when, where and how, are not disclosed, what useful purpose will they serve, other than for Iran? If details of the results of inspections are not disclosed, that will also be the case. How, in either or both cases, will the members of the P5+1 negotiating teams have sufficient information to decide whether to “snap back” sanctions — if doing so is now even possible — or anything else? Considering Parts I and II together, and assuming that the statements of Iranian officials are reasonably consistent and not mere gaffes, IAEA personnel will be permitted to inspect non-military sites only and hence only to keep tabs on Uranium enrichment; even the details of those inspections will not be disclosed. 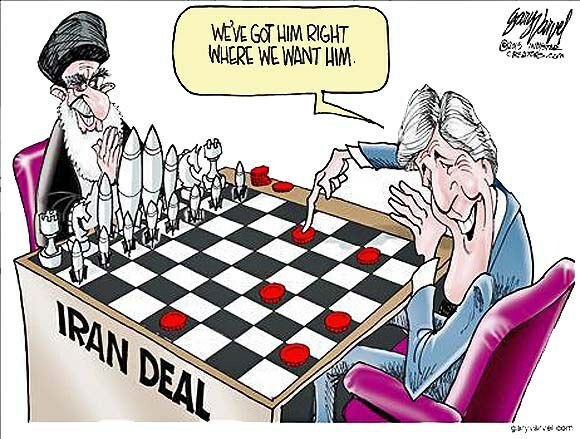 Is that what Kerry and the other P5+1 negotiators had (pardon the expression) in mind? This appears to confirm that all of Iran’s ballistic missile sites are off-limits to inspectors. V. What does Kerry know? When questioned by members of Congress on the secret deals, Secretary Kerry testified that he had neither seen nor read them but that he had been fully briefed and knew “exactly” what they say. Put charitably, it seems unlikely that he knew that much. Less charitably, Kerry knew far more than he said and declined to be forthcoming. Now that two Iranian officials have provided highly important information, thus far probably unknown to Congress, will Kerry have additional comments? Not if he can help it. I wrote early and often about the miserable “deal” about to be entered into by P5+1 under Obama’s dubious leadership. As Iranian officials provide additional information it should be clear — even to the most enthusiastic “deal” supporters — that the “deal” is far worse than earlier thought possible and that the U.S. Congress is obligated to disapprove it and to override any Obama veto, partisan politics notwithstanding. For senior lawmakers in both parties, the evidence calls into question Iran’s intention to fully account for the possible military dimensions of its current and past nuclear development. The International Atomic Energy Agency and Iran have a side agreement meant to resolve past suspicions about the Parchin site, and lawmakers’ concerns about it has already become a flashpoint because they do not have access to its text. Nor will they have access to Parchin or other military sites. This entry was posted in Diplomacy, Dishonor, Foreign policy, IAEA, Iran - side deals, Iran nuke inspections, Iran sanctions relief, Iran scam, Iranian missiles, Iranian nukes, John Kerry, Khamenei, Obama, Obama's America, Obama's legacy, Obamas affection for Iran, P5+1, Peace in our time, United Nations and tagged Diplomacy, Dishonor, Foreign policy, IAEA, Iran - side deals, Iran nuke inspections, Iran sanctions relief, Iran Scam, Iranian missiles, Iranian nukes, John Kerry, Khamenei, obama, Obama's affection for Iran, Obama's America, Obama's legacy, Peace in our time, Pr+1, United Nations. Bookmark the permalink. Maybe Obama and Kerry are secret geniuses! By engaging Iran in detailed faux negotiations, they gained enough intelligence to accurately target all of Iran’s nuclear sites. I know I’m reaching here, but there has to be some logic in all this apparent insanity…. Shirley Surely you jest. 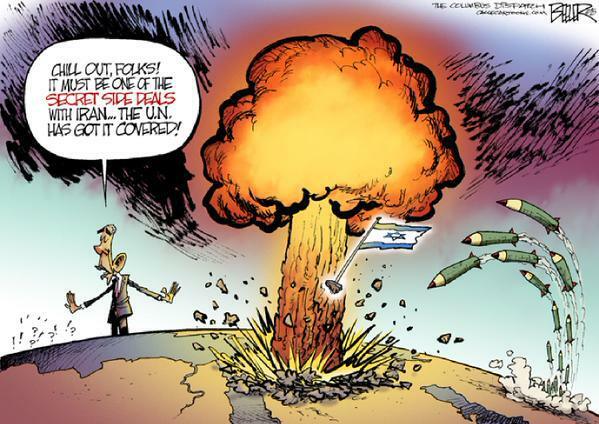 Perhaps Obama’s “logic” is that since He has a strong affinity for Iran and wants it to become dominant in the Middle East, the “deal” will be wonderful and attain His goal of peace in our time. He is correct in thinking that the “deal” will help Iran in that way and others.